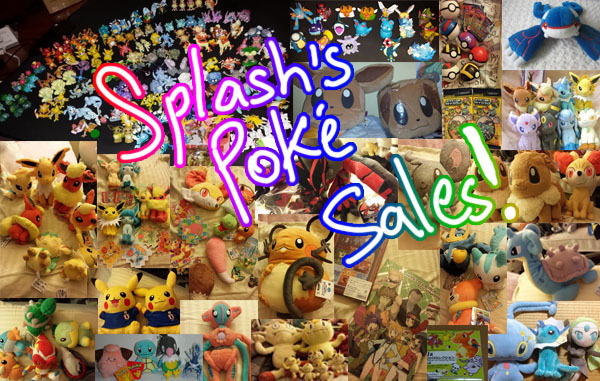 Feel free to combine with my Non-Pokemon sales! -USPS shipping increased January 27, 2019. -HUGE lot of stickers to be updated in the flats section, gradually getting updated type by type. -When I get the time I'll be shifting all the figures into one post and move stamps into the "Others" page, since that just makes more sense at this point lol. -After a few more sales updates and clearing out inventory, I will be slowly changing my focus to my flats/stickers, Pan Sticker shop and Claims only! Note I'll still always have things in my permanent sales post, but ideally my "stock" won't be anywhere as cluttered as it is now. -I add free chocolate to priority flat-rate shipments! Please let me know if you DO NOT want chocolate. They're still good even if they melt along the way! All merchandise from magazines (ex: Animedia, Animage, Newtype, PASH) are limited production. i.e. Once the issue's over, they don't print any more of these things, yaw. The listing can be very cluttered, so you are encouraged to use ctrl + f search feature on your browser if you want a specific series (Yowamushi, Kuroshitsuji, etc). Status: OPEN! Last updated 5/24/2016. I haven't bought magazines since the end of 2014 so clearing out stock! 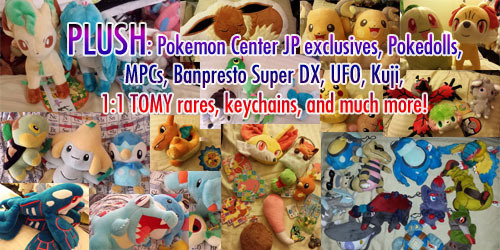 I have a Mailing List to notify you of new items in stock! I will also be running discount promotions through the mailing list! 1. 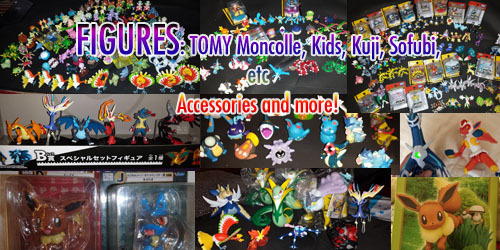 All prices are in US dollars, not including shipping. I ship to US and international. 2. Accepted Payment: Paypal (Paypal fees will be applied) or concealed US cash (at your own risk). At this time, I can't accept any other form of payment. 4. I update sold listings asap after I receive payment. Keep up w/ newest listings by signing up for the Mailing List! 5. I'm not responsible for lost/damaged items during shipment. I always add padding+cardboard reinforcement to priority packages. 6. Shipping: Everything is shipped via USPS from California. For domestic USA orders, I give quotes in both first-class and priority. For international, quotes are in first-class. There are some exceptions (example: your item is small enough to be shipped in a business letter for 50 cents, or if you're willing to let me bend a single small poster to fit into the business letter, or you buy a LARGE bulk of heavy magazines and would like media mail shipping in the US). 7. Tracking comes free with shipping for USA addresses, and SOME international countries. Tracking+Insurance comes free w/ flat-rate for USA addresses. 8. Contact me (splash@pmsinfirm.org) or post here for any questions or to make an order. Feel free to screen your posts. To get an order total with shipping cost, you need to tell me your shipping location (postal code within the US, or country if international). 9. Last but not least, serious buyers only! 1. Read the terms above, choose your items, then use the form below to make an order. Please copy/paste item listings with the prices, and don't include links which may trigger spam filters. 2. Payment must be complete before I ship out items. Please read my profile page before continuing if this is your first time here.